Canadian singer Jordan St.Cyr, who recently was selected as CMUnited’s artist of the year at the 1st annual Christian International Talent Contest, is releasing a new single to U.S. Christian radio outlets. 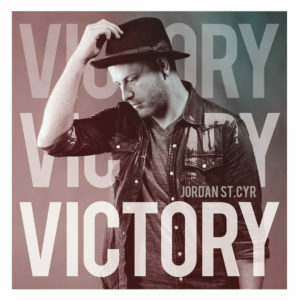 The single, “Victory,” which previously was released in Canada where it made frequent appearances on the national radio chart, goes for adds today at Christian AC and Christian CHR radio. Being named ChristianTalentContest.com’s artist of the year is the most recent in a series of accomplishments for St.Cyr. His single, “In My Lifetime,” has garnered international attention and won the singer/songwriter first place in the Nashville-based Unsigned Only competition, which is judged by artists such as Bart Millard from Mercy Me, David Crowder and Aaron Schust. St.Cyr also was named the 2017 Nashville Rising Star winning songwriter and is currently touring across North America. A resident of Niverville, Manitoba, St.Cyr has spent time in Nashville working with top music industry professionals, including Ben Calhoun, frontman for Citizen Way, and Micah Kuiper, guitarist for Hawk Nelson, who co-produced a number of St.Cyr’s songs. For more information about St.Cyr or to contact him about coming to your area please email info@jordanstcyr.com. This entry was posted in Christian Contemporary, Reviews and tagged Jordan St.Cyr, Victory by Kris Patrick. Bookmark the permalink.